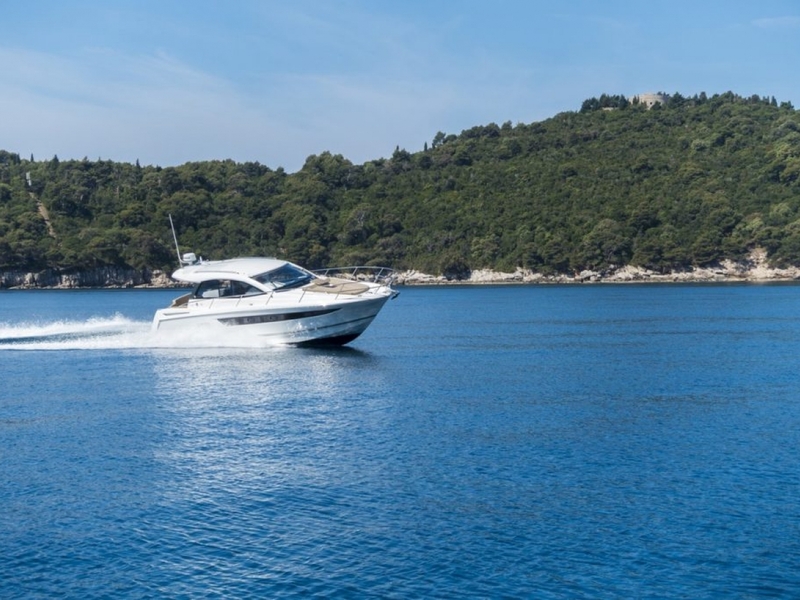 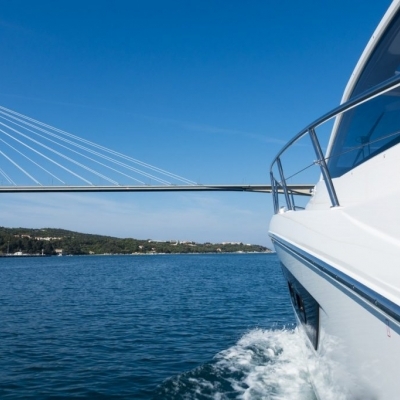 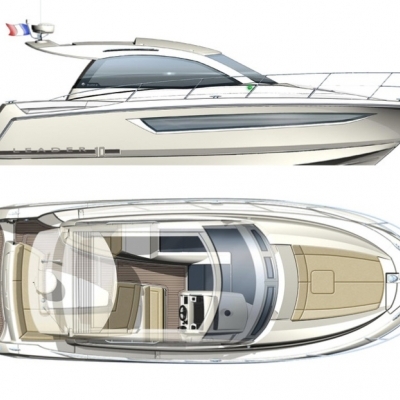 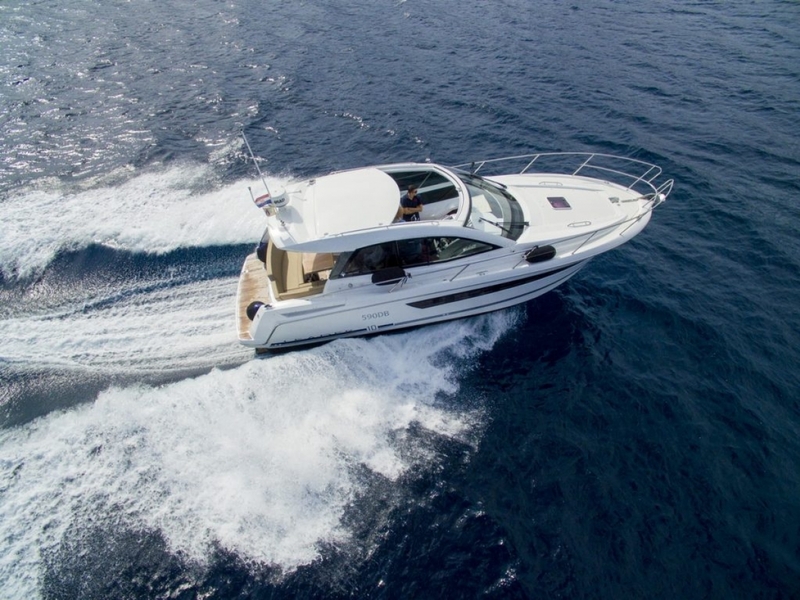 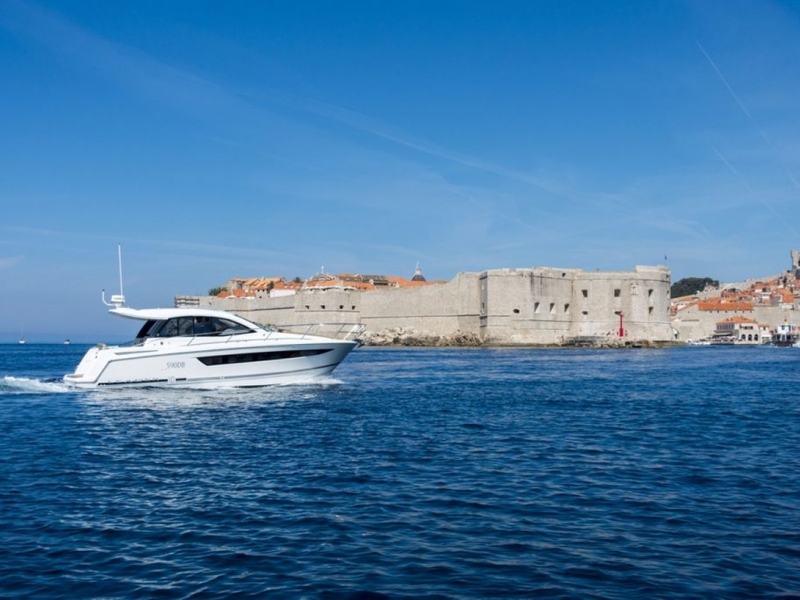 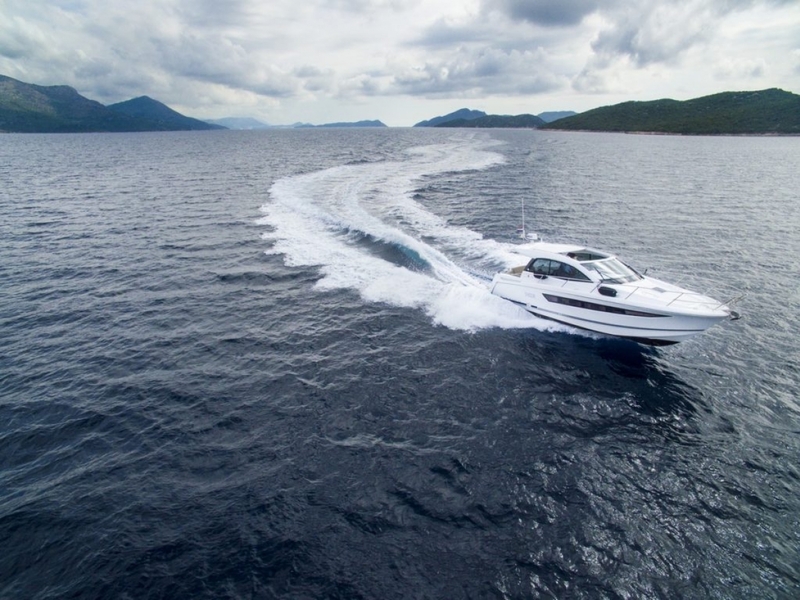 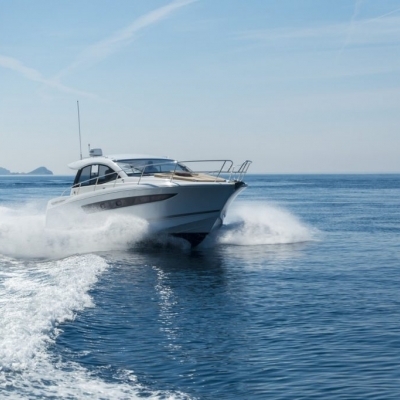 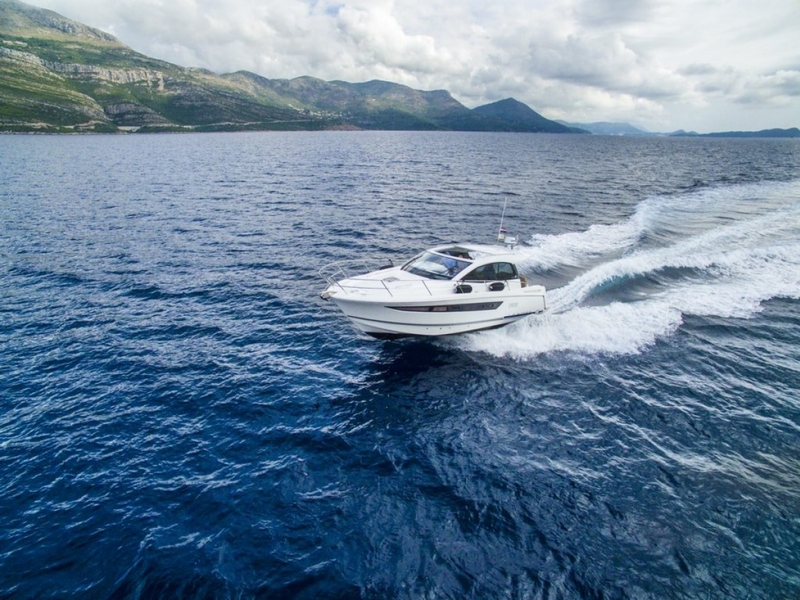 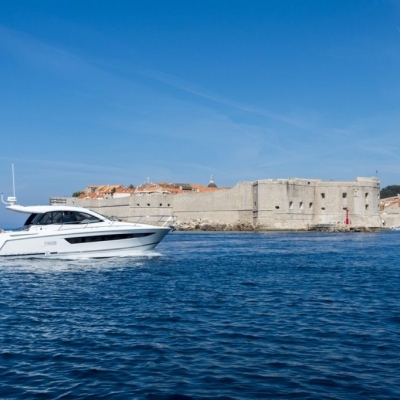 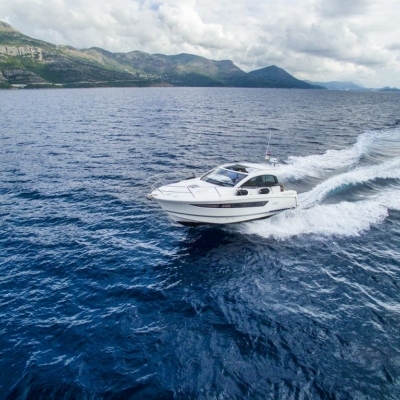 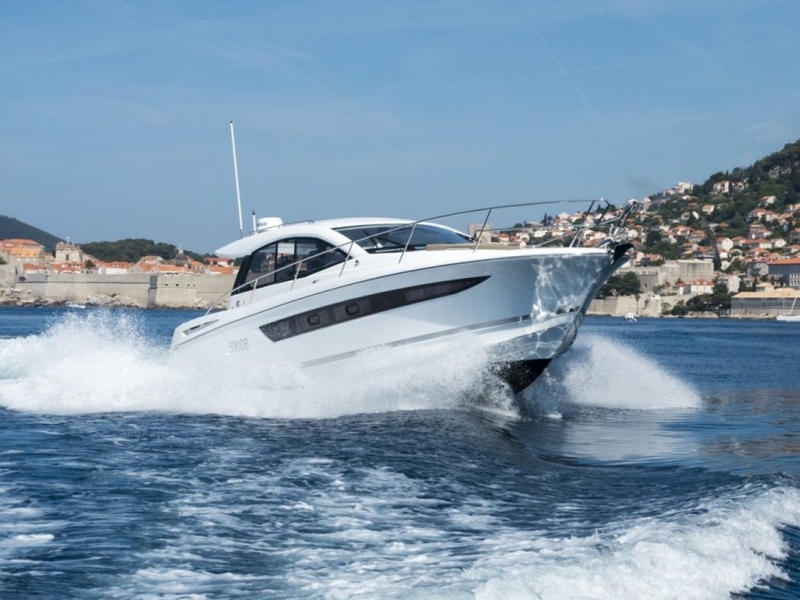 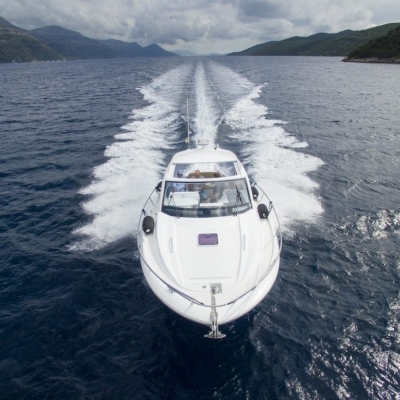 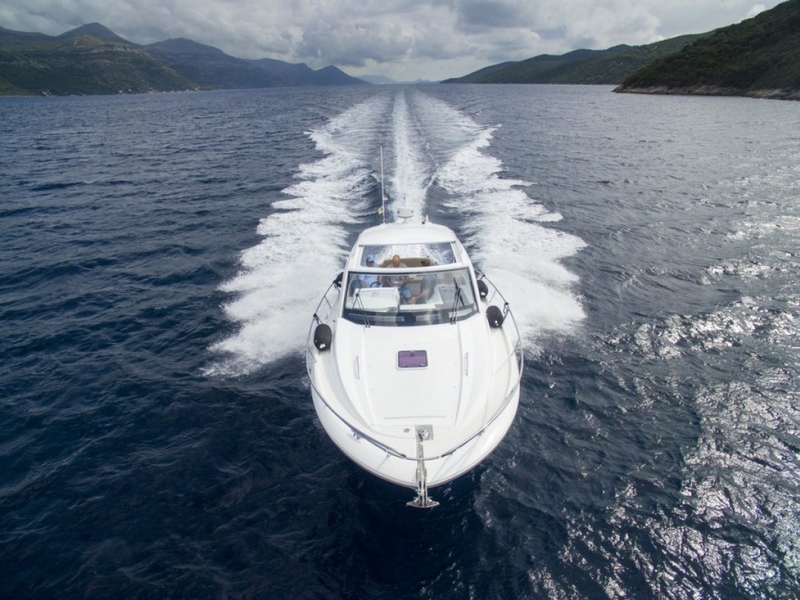 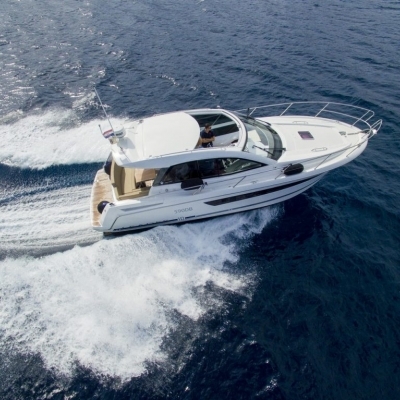 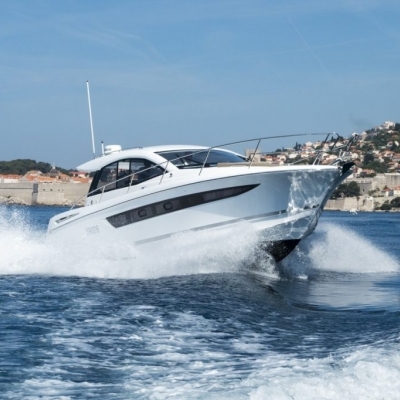 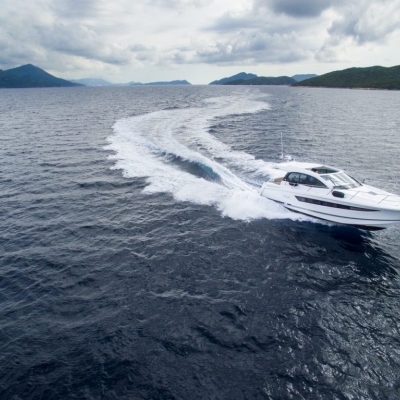 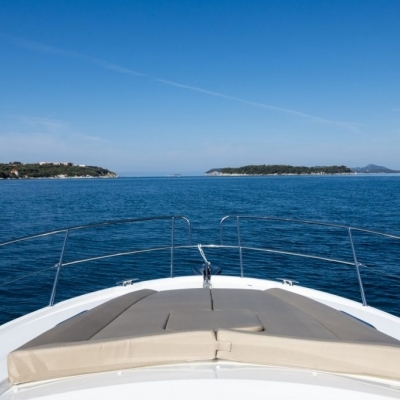 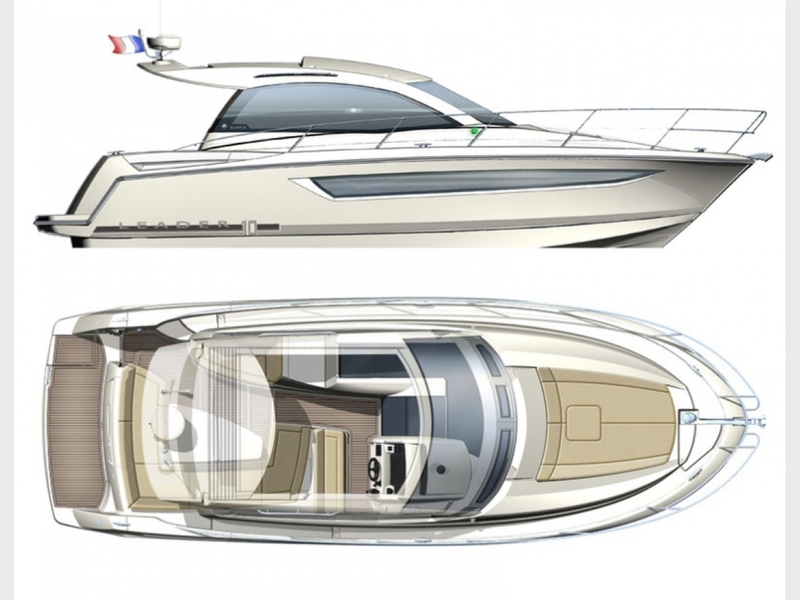 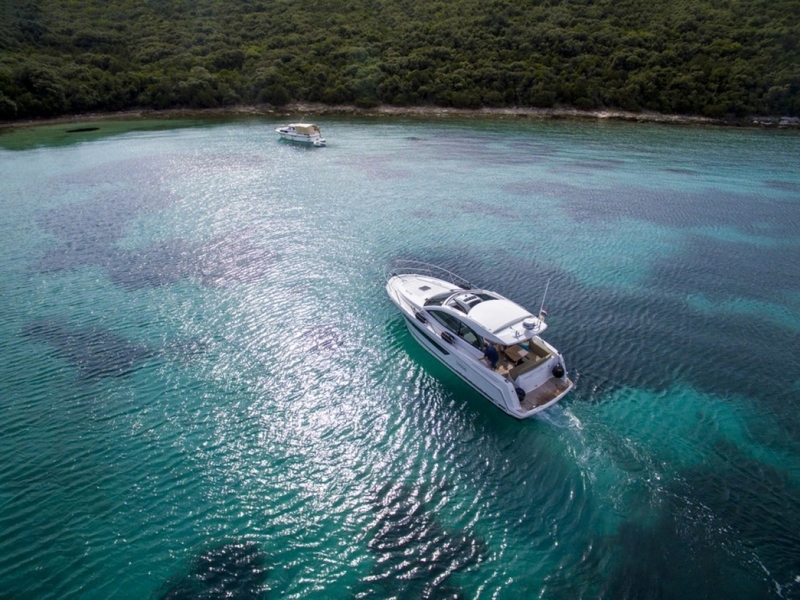 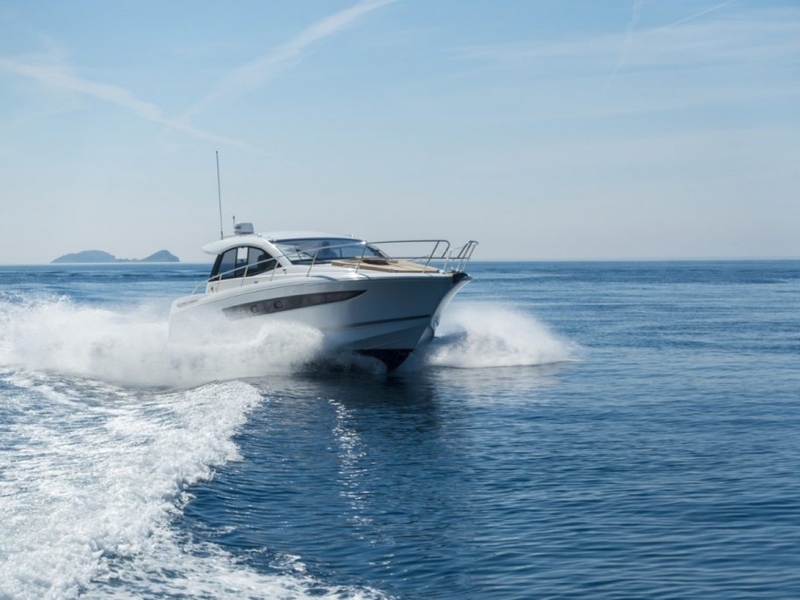 The Leader 10 is an exemplary sports cruiser from Jeanneau. 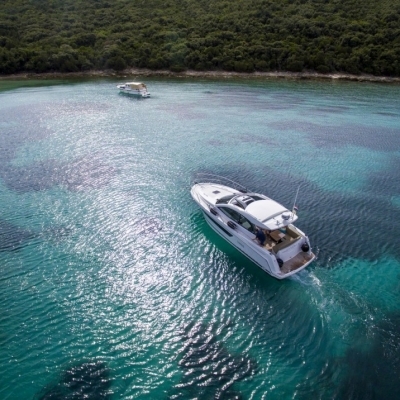 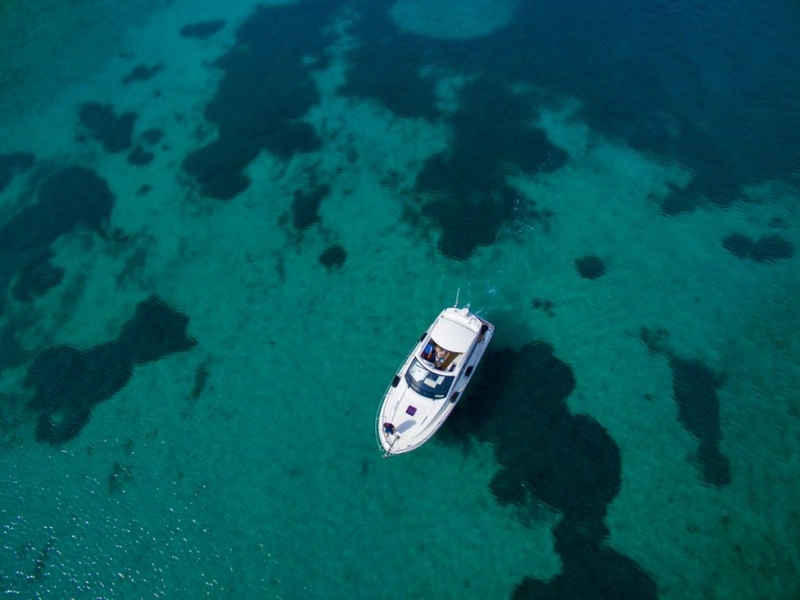 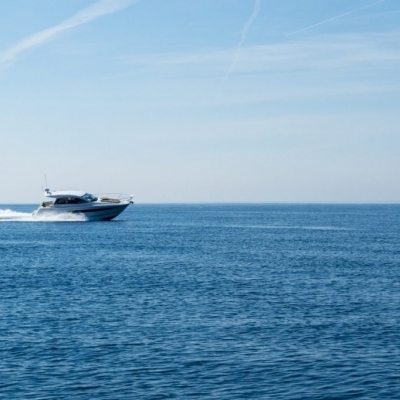 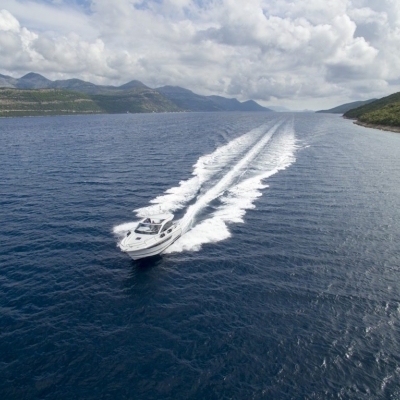 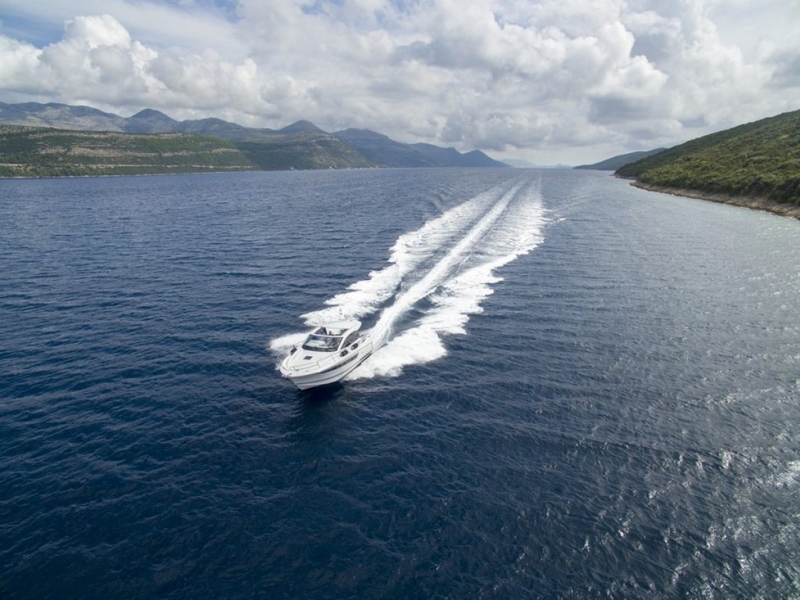 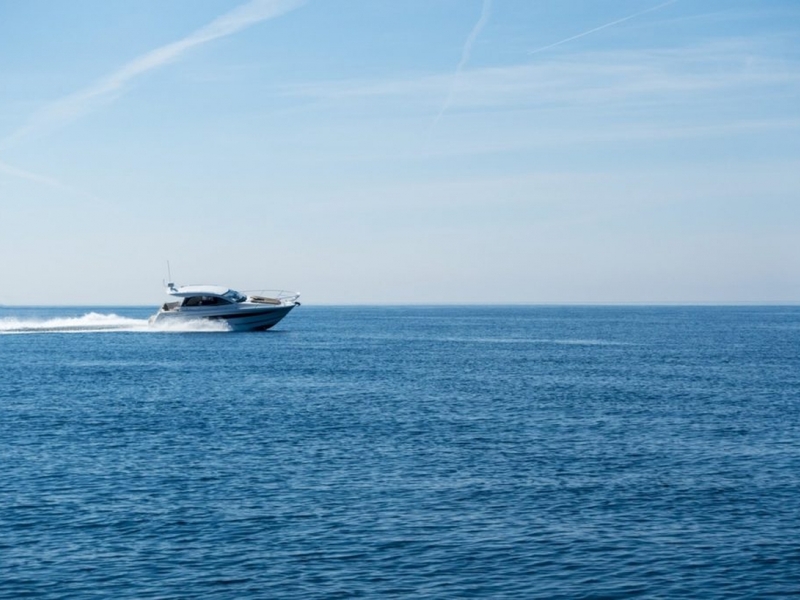 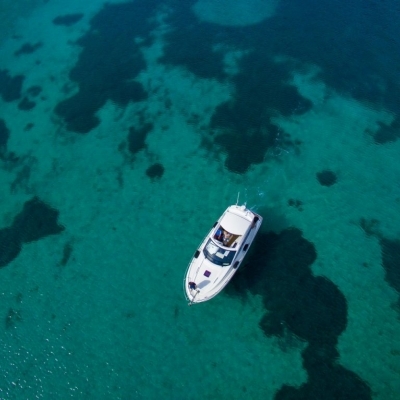 The boat boasts overtly European styling, a big sheltered cockpit and helm deck, and two-cabin accommodation for sleeping a family of four or more.With a sharp blue hull, large areas of glazing and oversized sunroof — with superior hardtop instead of soft-top option — you’ll look sharp as you dock, do dinner and then hightail to a marina or bolthole for the night. 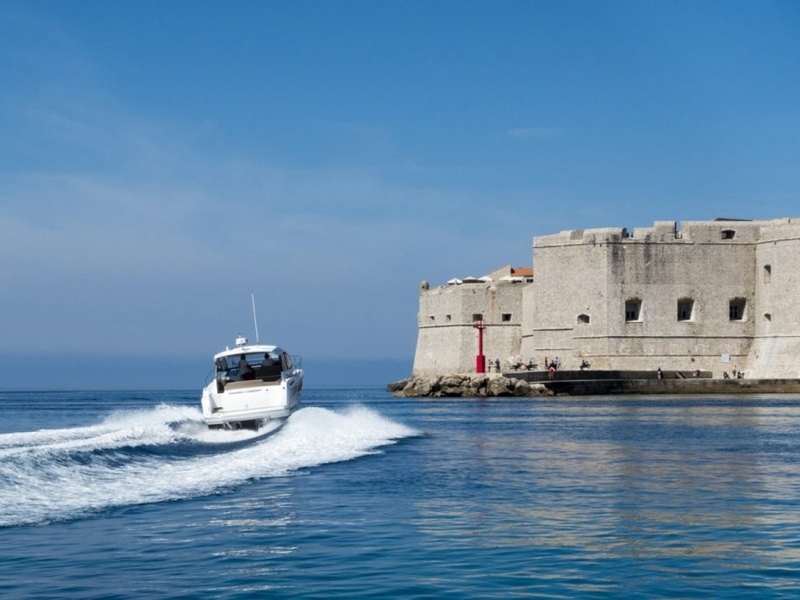 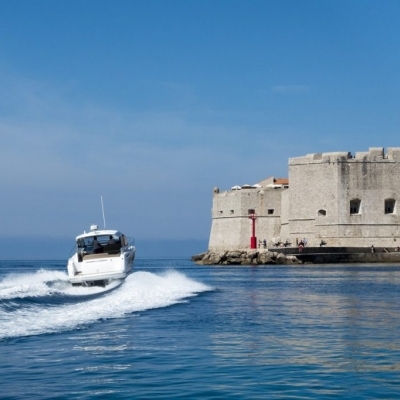 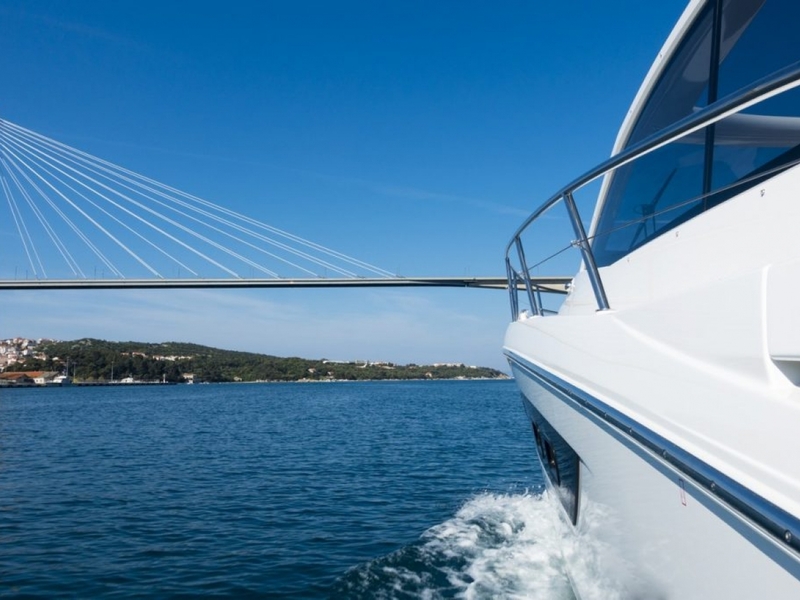 Down anchor for a sunny Sunday of water play and lunch and your boating experience is complete. 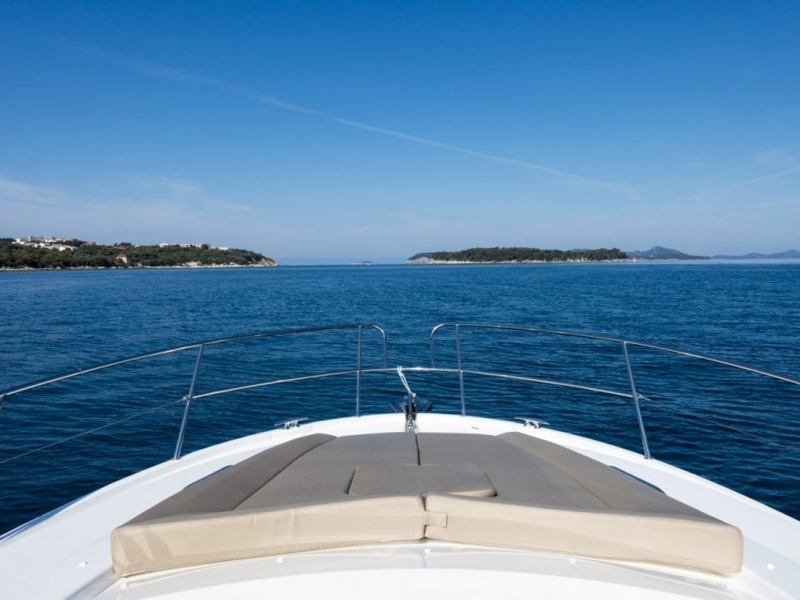 Let Karaka know what you are expect from the trip and who will be joining you.